The Columbia Crest 2014 Crowdsourced Cabernet Sauvignon is Finally Here! Wine can be intimidating. Have you ever gone to a restaurant and asked to see the wine list and the server or sommelier hands you a book that is thicker than the volumes of Harry Potter? Overwhelmed by the sheer number of choices, you randomly select a red wine that fits your budget and has a cool name that will impress your date. When the server returns with the bottle, he shows you the label, pours a small amount in your glass, and stands silently. Your mind races for a moment. “What am I supposed to do?” You nervously smile at your date and lock eyes with the server who nods towards the glass. You nervously lift the glass to your nose to breathe in the aroma (you remember seeing someone do this in a movie). Then you swish the wine around the glass a few times, hold it up to the light to inspect the color, and take a sip. Afterward, you let the server know that it meets your approval even though you have no idea what you just did. Many people have experienced this scenario because they don’t want to seem ignorant of wine. There is nothing worse than the glare of a pompous sommelier or a condescending comment from your wine snob friend who likens your knowledge of wine to that of a feral pig. Enjoying wine shouldn’t be this stressful. That’s why Columbia Crest decided to make wine more accessible by inviting the public to participate in the winemaking process. 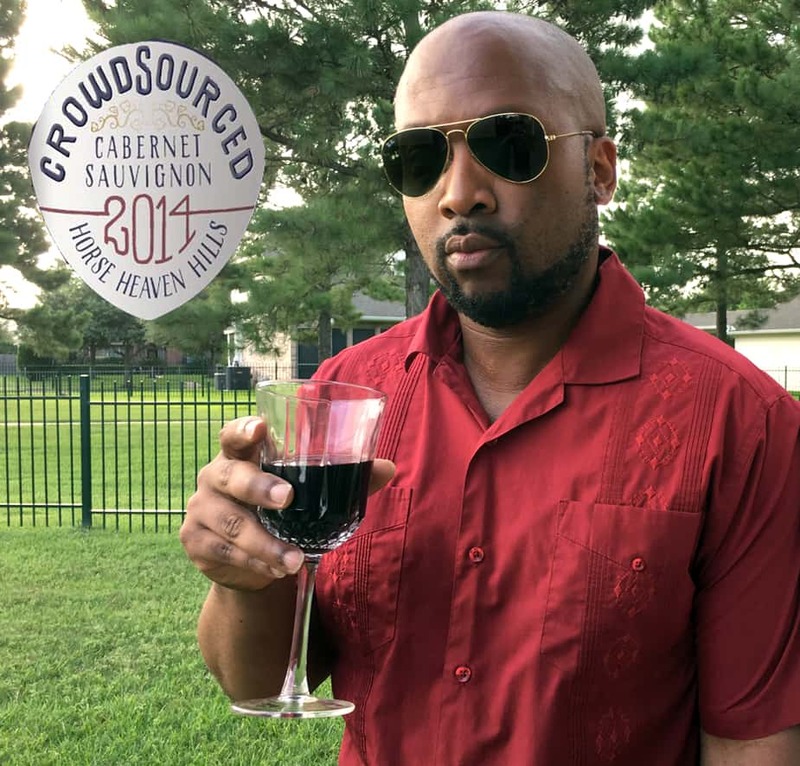 In June 2014, Columbia Crest embarked on a journey to become the first winery to crowdsource a wine from vineyard to table through a unique interactive online experience on CrowdsourcedCabernet.com. The Crowdsourced Cabernet process educated participants on how much water to apply to the vines, how the temperature outside impacts harvest, and how different varietals shape the aromas and flavors in the blending process. This knowledge empowered fans and wine enthusiasts to make decisions throughout every step of creating the wine. Everything from bud break, harvest, fermentation, the final blend, and even the label was put in the hands of the online community. Although I wasn’t totally ignorant of wine (I’d place my knowledge about halfway between sommelier and feral pig), I learned so much about wine and the winemaking process by participating in the Crowd Sourced Cabernet experience. My education was further enhanced by spending time with Columbia Crest’s head winemaker, Juan Muñoz-Oca. Last year, I got to taste an early version of the Cabernet. It was bold, silky, and had strong fruit flavors. After sipping a few glasses, I was eager to get a bottle of the final product. I’m happy to say that the vintage is finally ready for public consumption. 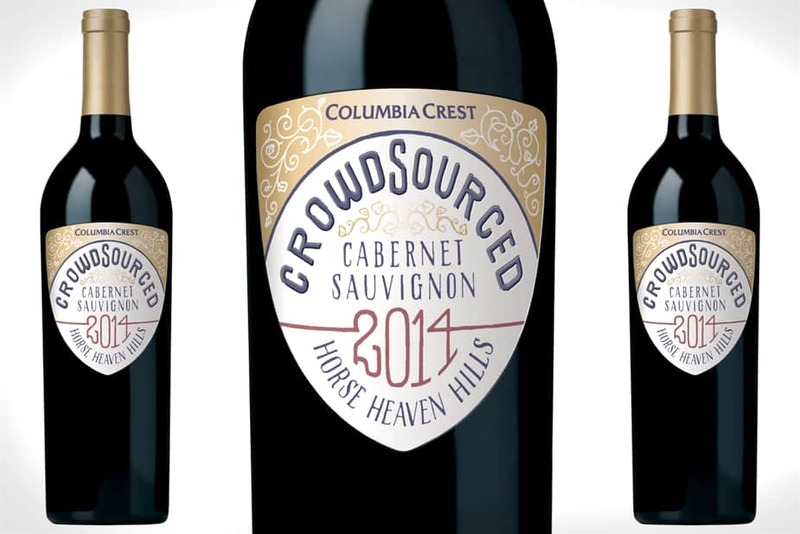 Approximately 1,000 cases of the 2014 Crowdsourced Cabernet are now available for purchase in the U.S., exclusively online at ColumbiaCrest.com/shop and in the Columbia Crest tasting room in Paterson, Washington. I know what you’re thinking. That Crowdsourcing sounds like a cool gimmick, but how does the wine actually taste? Glad you asked. To answer your question, I will defer to winemaker Muñoz-Oca. For those of you who don’t speak wine geek, allow me to translate: IT’S GOOOOOOOOOOD! With a blend of 87% Cabernet Sauvignon, 7% Malbec, 4% Petit Verdot, 2% Merlot, it is a beautifully complex and layered Cab. Over the past few years, I’ve grown fond of Washington state wines and the 2014 Crowdsourced Cabernet Sauvignon is among my favorites from the region. I must admit that I am a bit biased because I had a slight hand in making the wine. But after you try it, I’m sure you will agree. P.S. – There is still time to participate in the creation of the 2015 vintage of Crowdsourced Cabernet. Visit CrowdsourcedCabernet.com to place a vote.